During the winter of 2015 we began constructing the Swinford Courthouse Planter. 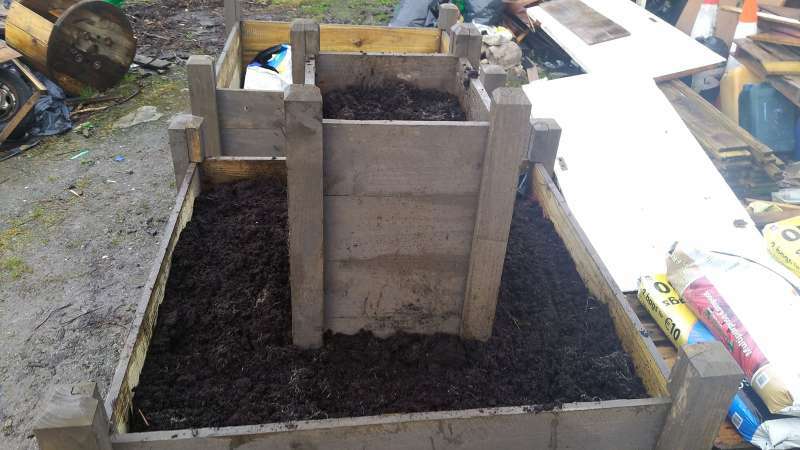 We began constructing the Swinford Courthouse planter just before the Christmas of 2015. With the shorter evenings and our Wednesday evenings finishing up for the winter months, our volunteers do still be busy! We use this time to plan new projects for the following year. Some of the money collected from our annual Church gate collections goes towards projects like this. 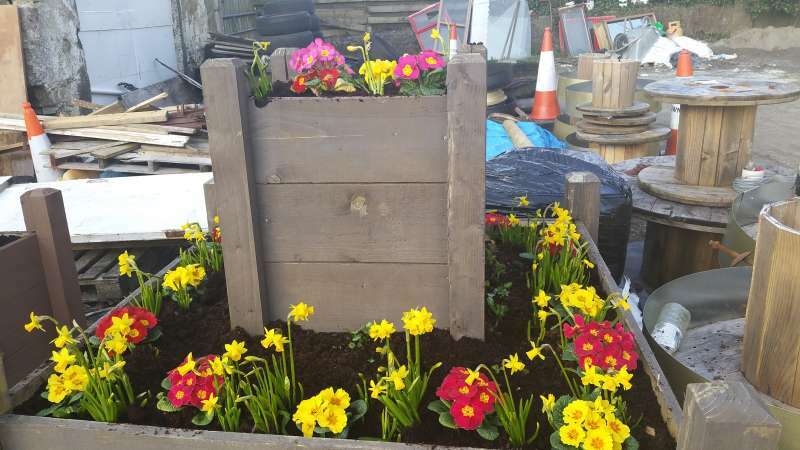 Money donated by the community goes to buy materials to build the planters and then plant them when completed. 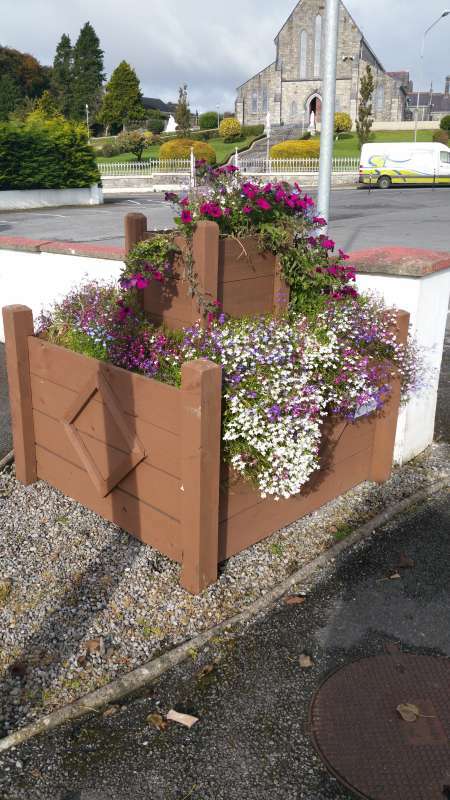 The Swinford Courthouse planter is slightly different to the previous planters we built for Kiltimagh Rd and Kilkelly Rd earlier in 2015. This planters base is roughly the same size but has 4 legs. It is also double the height with an added upper tier. As with the previous planters, we used pressure treated timer for construction. The 4 main legs are built from 4″ x 4″ fencing posts. We used 3″ x 3″ fencing posts for the upper tier. The 2 tier planter stands at roughly five and a half feet tall. 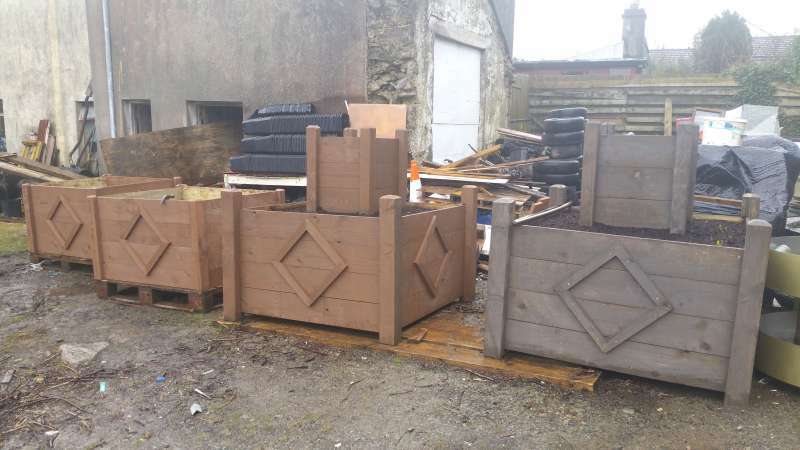 Not content with just building the one planter for the Courthouse, we decided to build two more! We have one positioned at the corner of the Church car park opposite Fraun Hill entrance. We have another placed at the corner of the junction of Bridge street and Riverside. 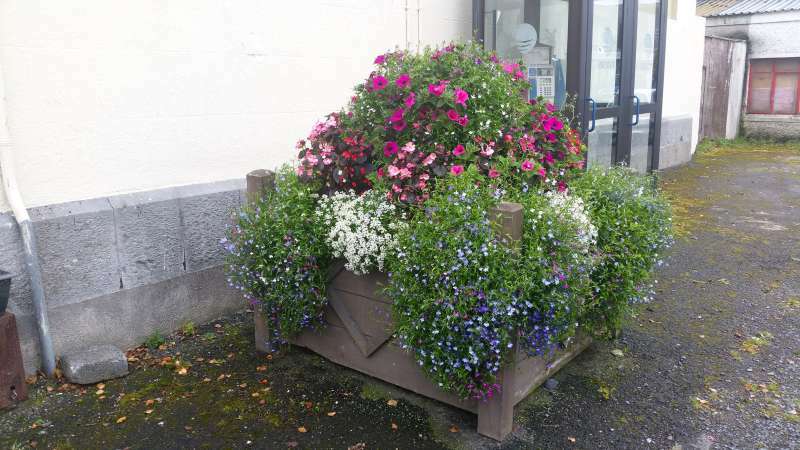 Both of these are the same size and design as the Swinford Courthouse planter. Thanks to our volunteers for planting all the summer bedding in all of them. We will plant early spring bulbs in them all towards the end of Autumn. 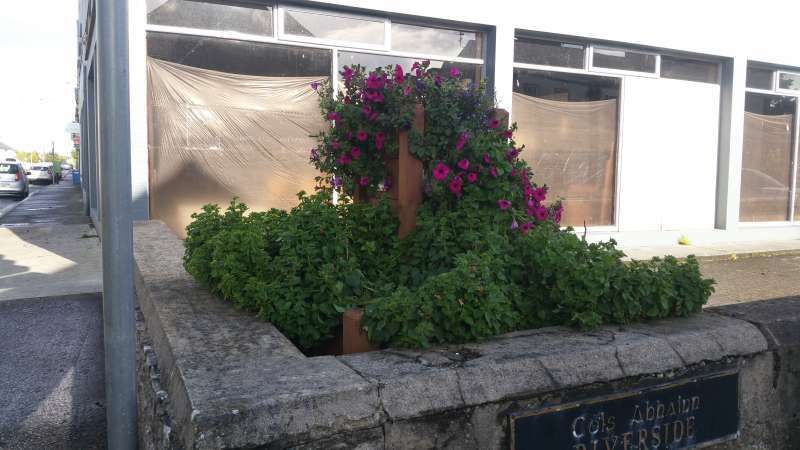 We would also like to thank Eamon & PJ Byrne (PJ Byrne Monumental Works) for the use of their forklift to move the planters into position.